Seller-Owned Solar; Over $60,000 in upgrades, 2,835 sq.ft., 4 bedroom, 3 bathrooms; One bed/bath downstairs. 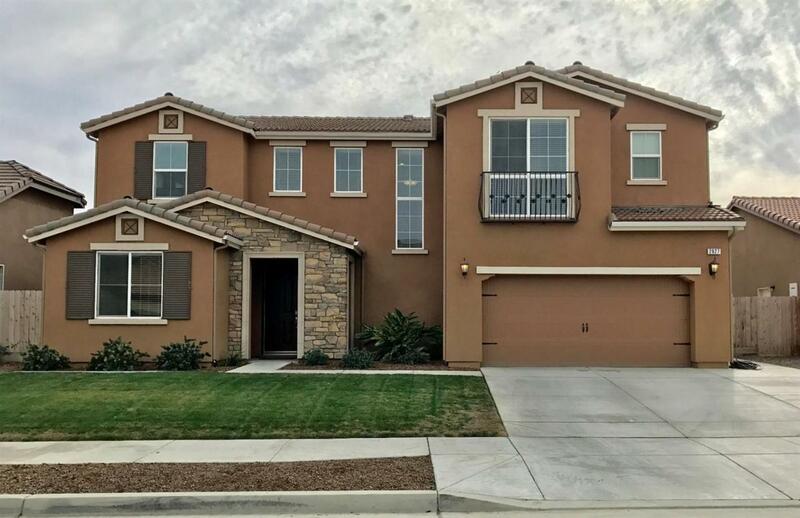 Large open floor plan, Spacious living room; wired for surround sound, Fireplace, Laminate wood flooring, Large kitchen island, Abundant cabinet space, Granite countertops, Stainless steel appliances, Gas range/oven, Walk-in pantry, Dining room, and Media-tech room. Upstairs loft area with rod iron/wood banister overlooks living room, Laundry room, Master suite with two walk-in closets, Separate shower/tub, Separate his & her vanities, Tandem Garage (fits; 3 cars), Tank-less water heater, Two independent whole house fans, Cat5 Ethernet wiring throughout, Cable wiring in each room, Tile roof, Front/Backyard landscape, Covered patio with additional cement work, Gas hook-up for with additional gas pipes located outside patio area for possible gas pillars/fire pit. Call for a private showing today! Listing provided courtesy of Paula Pitts of Keller Williams Realty Tulare County.